Friday night is pizza night in our house! Sometimes we order out, sometimes we make our own. Cooking with kids is not always an easy feat for me. It can be just plain difficult! 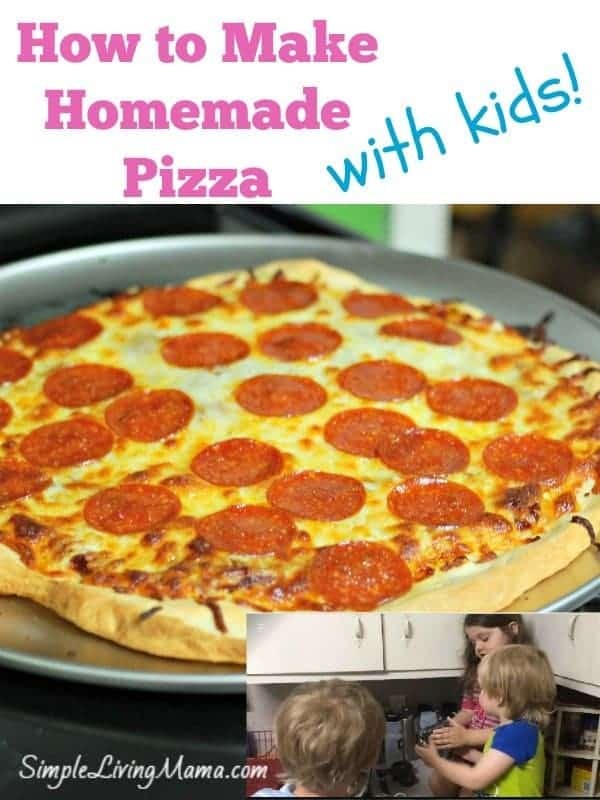 I’m going to show you how to make homemade pizza with kids. Will the pizza be perfect? Probably not, but it will still taste good! 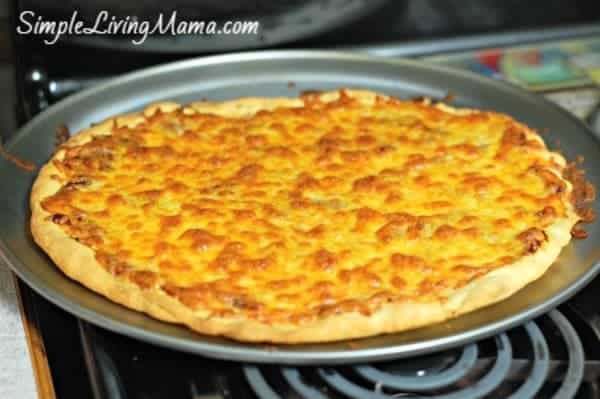 This is one of those simple living recipes that is a staple in any household. Have fun with your kids! First, you need to mix up the dough. I use my Kitchenaid mixer to avoid kneading by hand. Combine 2 tsp. yeast, 1 tsp. sugar, and 1 cup lukewarm water. Wait until the yeast begins to foam then add 2 T. olive oil and 3 cups flour. Mix with the dough hook for about 4-5 minutes. Cover bowl and let the dough rise for about 1 hour or until the dough has doubled in size. 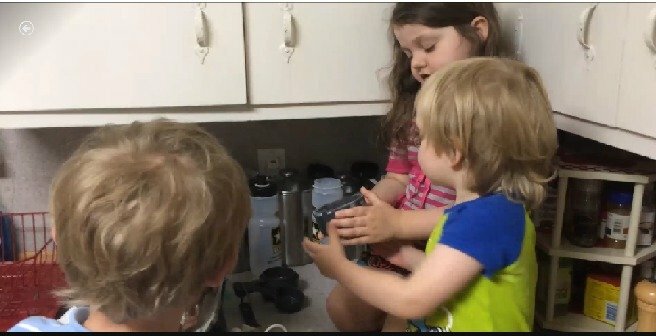 My kids LOVE to help pour ingredients into the bowl and watch it mix! It gets messy! Once the dough has doubled, punch it down, take it out of the bowl and divide it in half. 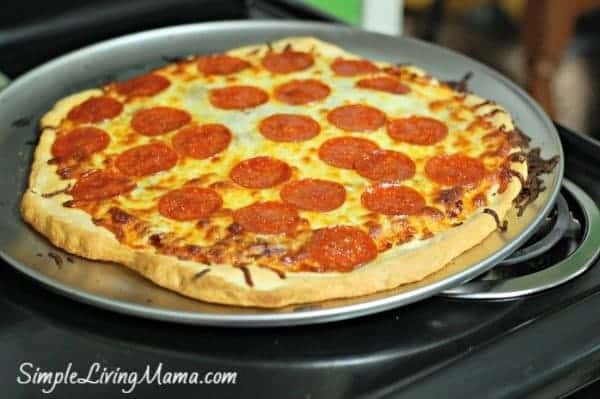 Oil your pizza pans, then work the dough into a circle by rolling it out, then gently stretching it. You may have to let it rest a bit, then come back to it and stretch it some more to avoid tears. Once you have your crust shaped, preheat your oven to 450 and let your crust dough rise for another 30 minutes. Kids love to play with dough. You can give them a small piece to play with while you work the dough, or you can let them help you. Your pizza make be a bit misshapen like mine, but who cares? It gives it character! This one is a lot of fun for kids, too. My two year old helps me stir the sauce. I use one can of tomato paste, 1/2 C. water, 2 T. olive oil, and dried basil + oregano & garlic salt to taste. Mix it up and let it sit while the dough rises. Once your crusts have risen a bit, bake them in the oven for 8 minutes to set them a bit. Pull them back out, and place your sauce and toppings on the pizza. We keep it simple with cheese and pepperoni. Put them back in the oven for 10-12 minutes until the crusts are golden brown! 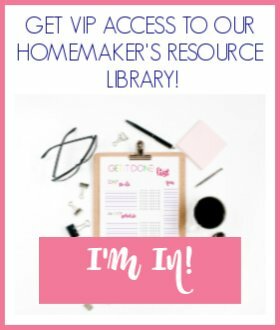 Everything you need to make homemade pizza including the crust and sauce! Place yeast, sugar, and water in a bowl. Allow to rest for 15 minutes to proof the yeast. Add olive oil and flour. Using a dough hook and mixer, knead the dough for 5 minutes. Punch down down, divide in half. Allow to rest for 15 minutes. 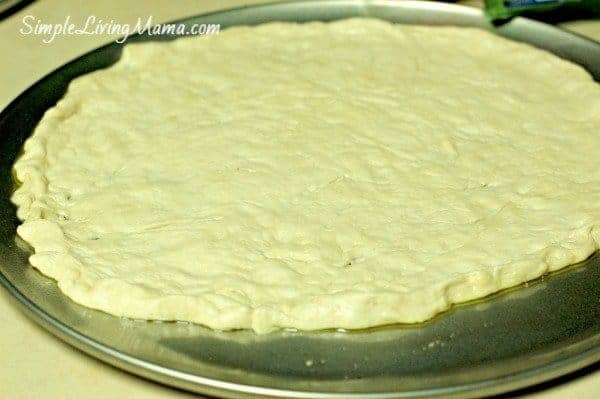 Roll dough out into shape of pizza pan. Let rise another 15 minutes after placing on oil pizza pan. Bake at 450 degrees F for 8 minutes to pre-bake crust. 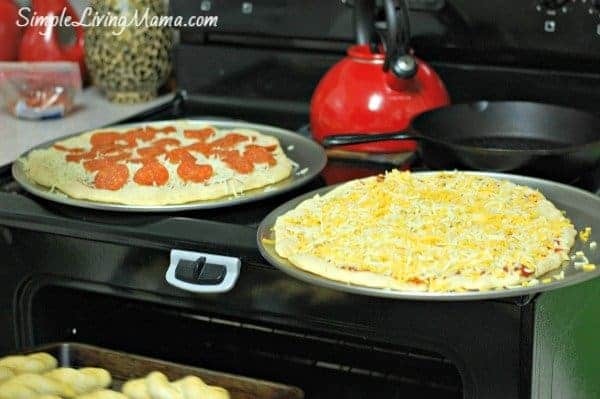 Assemble the pizzas by adding sauce and toppings. 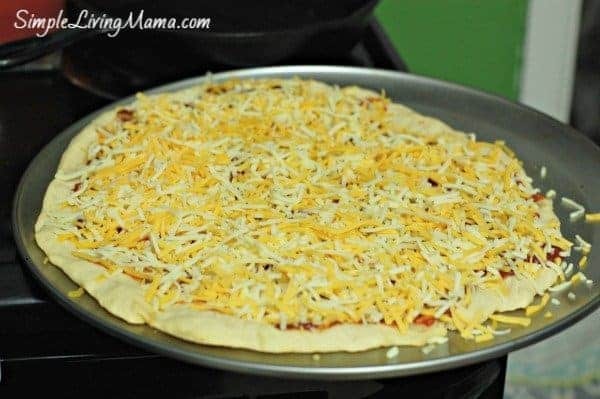 Continue baking another 11-12 minutes until cheese is melted and crust is golden brown. 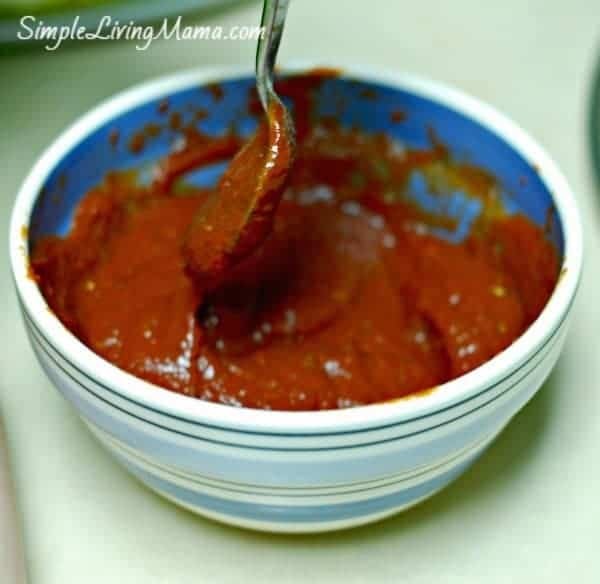 Combine tomato paste, water, sugar, and seasonings. Stir and let sit at least 15 minutes.